Since 1997, Retailers Supply and Services Corp. has been a one-stop shop for commercial retail store shelving, racks and displays. 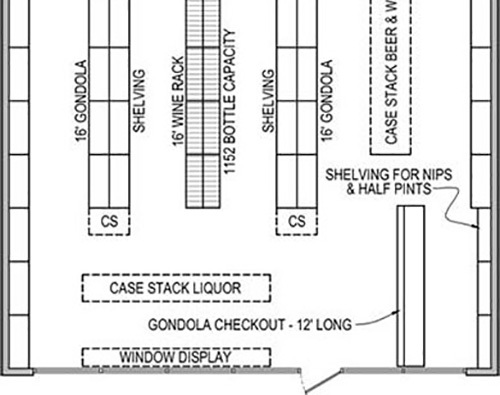 We focus on the commercial liquor and wine industry, installing shelving in wine stores and liquor stores all over the continental U.S.
We have performed hundreds of installations over the years, in stores ranging from small neighborhood wine shoppes to 30,000 square foot liquor mega-stores. We encourage you to browse our web site to learn more about all of the different shelving options we have, or just contact us by calling (386) 597-7884 or filling out our wine rack information form. 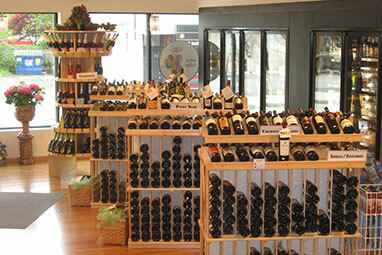 We are always happy to provide personalized consultations about outfitting or retrofitting your wine or liquor store. We serve the nation with three regional sales offices. your business a success. Contact us today for a free consultation. 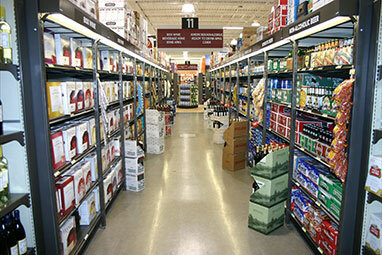 Since 1997, Retailers Supply and Services Corp. has been helping liquor and wine retailers by providing and installing high quality commercial grade retail shelving and displays. 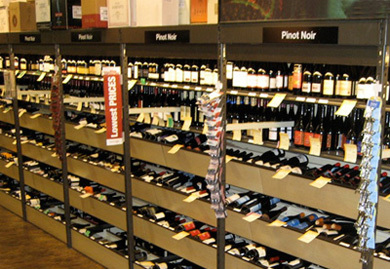 We have outfitted hundreds of stores, ranging from small convenience stores to large volume wine warehouses and corporate liquor stores. This is one of our most popular steel shelving configurations, combining Ultra Span Shelving with our Wine Box System for maximum display area and storage. 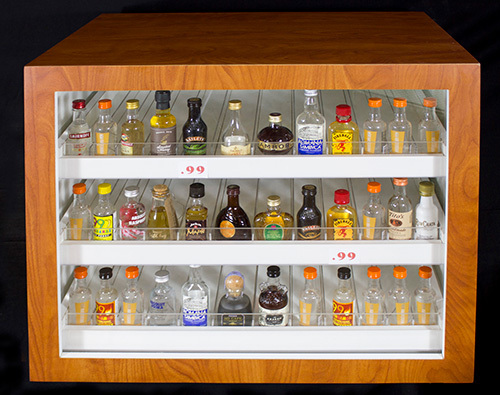 Our innovations and experience have made us the premier source for wine and liquor store fixtures. RSS is “Best of Breed”. And we will prove it to you. KNOWLEDGE - Free consultation with our wine store experts can help maximize your investment. CHOICE - We offer a huge variety of products and finishes to meet your specific needs. VALUE - Our shelving and racks are competitively priced and designed for rigorous commercial use. EXPERIENCE - Our professional staff and journeyman installers do the job right. 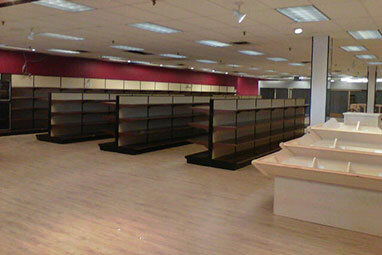 TEAMWORK - We work directly with architects and store planners to ensure success. © 1997- Retailers Supply and Services Corp. All rights reserved.